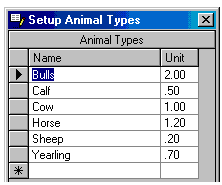 Home of Cow Sense® The Herd Management Software! Persistent customer interest has moved us to create the Pasture Sense™ program. This program was created and aimed at a key to ranch management and profit – GRAZING. 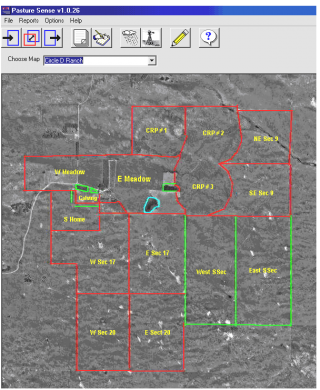 Map your property – insert any image as your map, or Pasture Sense can help you locate and obtain an aerial photo and insert it into Pasture Sense. Then add your pastures to the map image. 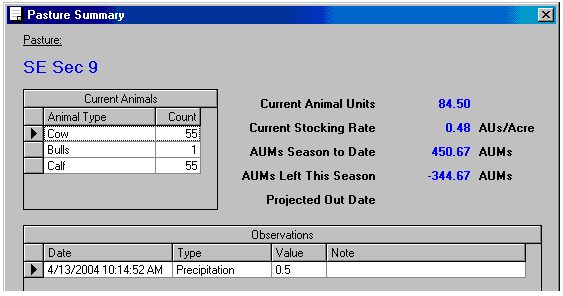 Set up the animal types to be run on the property, and customize unit values to each animal type for Animal Unit Months (AUM). Add, move, and remove animals from pastures. 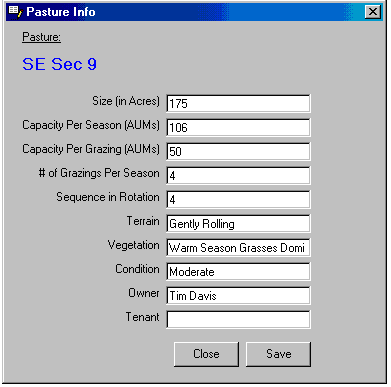 Pasture Sense calculates length of stay and utilization in AUMs. And there’s more… Integrated Help Movies, demonstrate through short video presentations how to set up and record information in Pasture Sense. 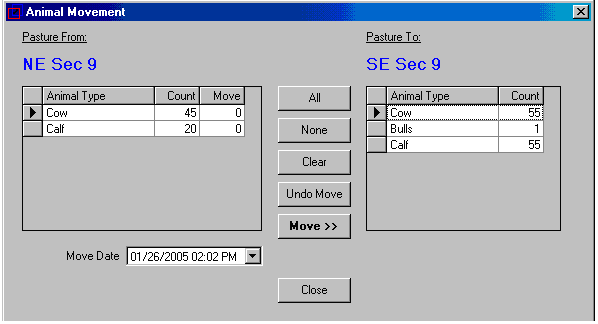 Press the F1 key at anytime and review the applicable movie about Pasture Sense operation. We believe this help format is more useful, and that it will get used more! Objects such as shelterbelts, water sources, structures, erosion, or even invading weeds and other undesirable growth. Pasture Sense stores all the information that used to be in notebooks, or scraps of paper in the pickup and provides you easy access. Reports recaps all activities by pasture on the map and lists all pastures in a condensed format that enables you to make comparisons. Pasture Sense is customizable, allowing you to tailor it to become your personalized journal to record and report on range management events and activities. 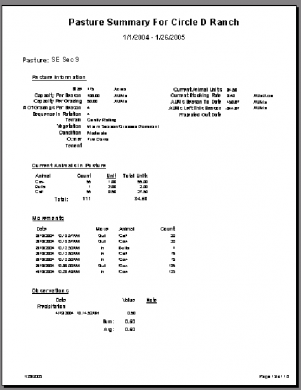 This flexible design lets you determine what information you want to record and summarizes it into powerful reports. 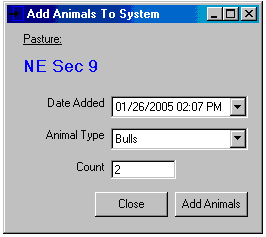 Pasture Sense requires Windows 98 Operating System or higher.